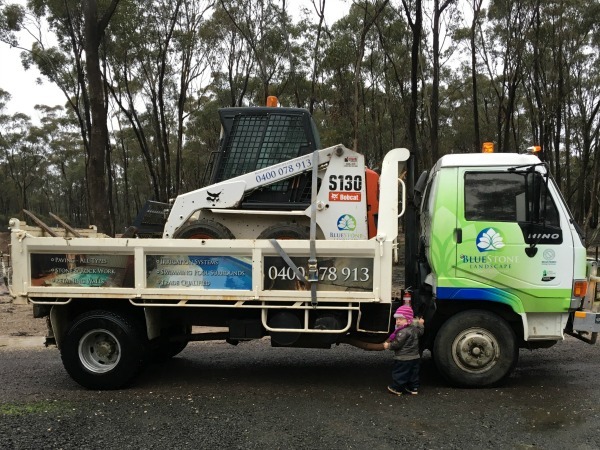 BlueStone Landscape is a Bendigo based company owned and managed by Scott Bateson. Since establishing the business Scott, and his team of landscapers, have transformed many Bendigo residential properties with beautiful, functional outdoor living spaces. Our mission is to ensure all our clients’ designs reach their full potential allowing their garden, outdoor living space, deck, paving area, pool or whatever their design may entail, to be enjoyed, admired and lived in for many years to come. Scott has over 18 years’ experience in Landscape Construction, including working in Melbourne and London, where he furthered his knowledge in the landscape industry. Scott, along with his highly qualified team of landscapers, can transform your existing outdoor area into your dream landscape. Bluestone Landscape Construction prides itself on working closely with their clients to ensure they deliver what the client wants and needs from their landscape. In order to this, Bluestone Landscape Construction is able to work with designers and their designs. Alternatively, Scott can work closely with clients to talk about their wants, needs and requirements and plan the space with the client. High attention to detail, and continual communication throughout the project, ensures that all clients are satisfied with their finished landscape. No stone will be left unturned! BlueStone Landscape is a member of the Landscape Industries Association of Victoria (LIAV), a Registered Building Practitioner and a Licenced Landscaper. Our company services the Central Victorian region including Bendigo, Echuca, Seymour, Castlemaine, Macedon, Maryborough and anywhere in between.